There is one story that has dominated the headlines this year and that is our over-reliance on plastics. 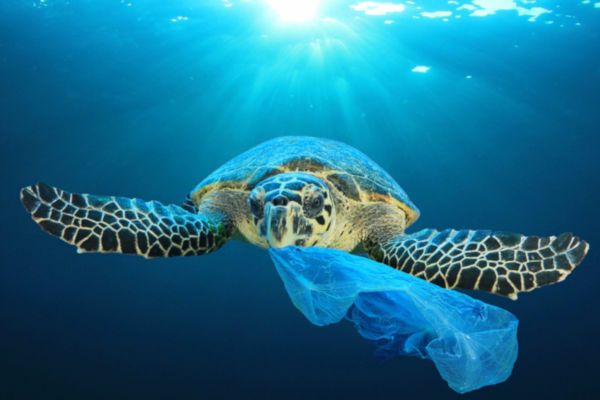 According to research carried out on behalf of the EU, around eight million tonnes of plastic enter the world’s oceans each year. The plastic doesn’t biodegrade quickly, with the average plastic bottle taking 450 years to completely biodegrade. Instead, plastics are broken down into ever more smaller pieces until they eventually become invisible to the naked eye. They are consumed by fish, who are in turn consumed by animals and humans. Currently, the long term health impacts of this phenomenon are unknown. It’s thought that around half of the plastics that we produce are disposable. Known as “single use plastics” these are the plastics that are found in food wrappings, straws, drinks bottles, disposable nappies, and the blind toy bags that our children adore. Much of this ends up in the oceans and beaches and is often mistaken for food by marine animals, leading to devastating consequences. 2018 is the year when it has become clear that we need to take action on plastics and Christmas is the perfect time to start. Check out some ways that you can reduce your plastic use over the festive season below. It might be called “paper” but a good proportion of wrapping paper cannot be recycled thanks to the plastic film coating that gives it a sheen. 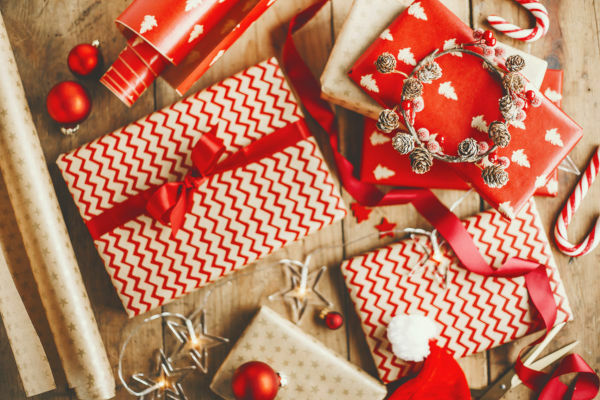 This year consider purchasing wrapping paper that is both recyclable and made of recycled products, such as the range of products offered by eco company “Re-Wrapped” who have an Amazon store for easy purchases. Alternatively, if you or the children are feeling artistic you could purchase some plain brown wrapping paper and use sponge shapes to create a pattern with paint. If you have any old patterned fabric you can cut it into strips to create pretty ribbons that will give the packages a finished look. Christmas is the time of year when parents, schools, and nurseries break out the glitter. There are many reasons to loathe the sparkly stuff. 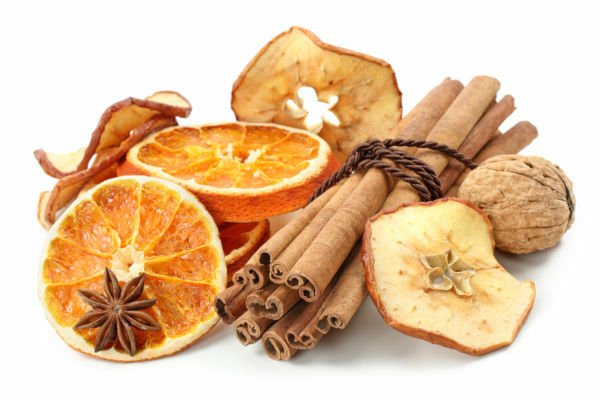 It gets everywhere after all and if you are unlucky enough to spill some during a festive craft session you will still be picking it out of your clothes and carpets by October the following year. However, the biggest reason why you should ditch the glitter is because it is often made from a plastic polymer with an aluminium foil coating. As it’s so small, it’s classed as a microplastic and it can easily end up in the food chain. This Christmas, if you are getting your children to make some Christmas crafts, please do consider ditching the glitter and sticking to paper based products only. 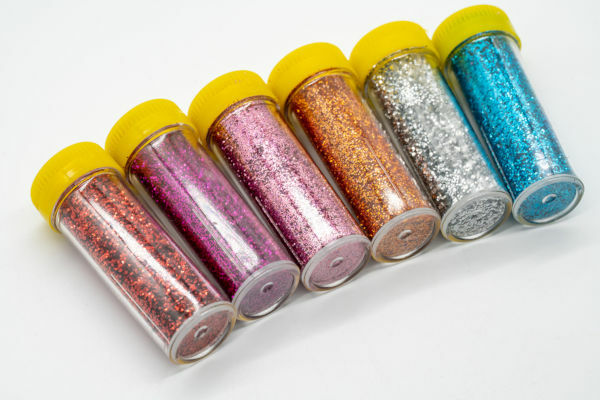 However, if you really do need that bit of sparkle in your life then check out some of the biodegradable glitter options that are available. Made from plant cellulose and small amounts of metal, the glitter complies with legislation on microbeads and is therefore suitable for use in both crafts and cosmetics, such as bath bombs. There are a number of companies who sell biodegradable glitter, including on Amazon but it’s worth noting that it costs considerably more than regular glitter. Christmas Eve boxes are becoming ever more popular and one staple of this new tradition is a packet of reindeer food. Children are encouraged to sprinkle the packet of food in the garden during Christmas Eve for Rudolph and his friends to munch upon whilst Santa delivers the presents. Usually homemade, many people include glitter and sequins (also made of plastic) in the mix to make it sparkle and create a more magical experience. Unfortunately, this has led to the RSPB having to make urgent pleas each year as birds are attracted to the shimmer and mistake the shiny objects for food. This year, why not make a wildlife friendly version, using this recipe from the RSPCA. 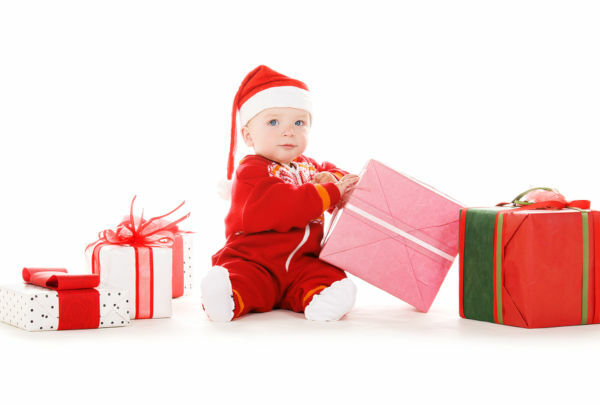 If you have young children, then Christmas is probably the time when they get a pile of new toys. Plastic toys are as popular as ever, and whilst many will be passed on to other children and played with for several years, others will be discarded quickly, break easily, and eventually end up in landfill where they will take hundreds of years to biodegrade. If you have younger children, then have a look at wooden toys as an alternative to the myriad of moulded plastic toys that are available. Wooden toys have seen a resurgence in popularity in recent years and you can get games, train sets, role play toys and small world play all made in beautifully carved and painted solid wood. John Lewis have a fantastic range, including this fun and imaginative castle set and this balance bike available in both blue and pink. Children in that awkward age between 5 and 10 might be a bit too old for wooden play sets and a bit too young for games consoles and it’s tempting to revert to current favourites, such as Lego, Shopkins, dolls and action figures. If you do want to buy something plastic then consider shopping for second hand items to try and reduce the amount of plastic going to landfill. Some children won’t notice, whilst for others it can be a good opportunity to teach them about caring for the environment. Blind bag toys (where the toy is wrapped in packing and you don’t know the contents until you open them) are very popular with kids, but sadly, they are harmful in two ways. Firstly, the packaging is usually made from a type of plastic that can’t be recycled. Secondly, once the novelty of the new item has worn off, the toy is often discarded. Many of the these toys are “fad based” and so are unlikely to be wanted in a couple of years’ time, meaning that they are even more likely to end up in landfill. If you are buying plastic toys this year then look for items that are timeless, such as Lego and Playmobil, as these can be passed from child to child. For teenagers and adults why not give experience based gifts this year, such as concert tickets, afternoon tea vouchers or driving days. You can also encourage your loved ones to reduce their own plastic usage through gifts, such as reusable bags and reusable coffee cups. Tinsel, baubles, even the artificial Christmas tree will all eventually add to the plastic mountains in landfill sites around the world. If you have an old artificial tree that is looking a little worse for wear with age then you could always upcycle it by using the parts to create a beautiful Christmas wreath, with plenty of videos on YouTube that will show you how. If you are buying a tree this year then opt for a real tree instead. Not only are they better for the environment, having a much lower carbon footprint, but they also smell and look much better. No one is suggesting that you should throw out all your old plastic decorations, in fact, that would be one of the worst things to do. However, if you need to buy new decorations this year then look for plastic free alternatives. There are some lovely wooden decorations available such as these from Amazon and if you are creative you could purchase some blank wooden shapes to paint yourself with your children, creating decorations you will want to keep for a lifetime. You could also choose a natural look for your tree, with sprigs of holly and pine-cones. Orange slices slowly dried out in an oven make a colourful addition to any tree, but if that sounds like a bit too much of a faff then John Lewis has several natural decorations, including this Amber Orange Ring. A significant proportion of the plastics that end up in landfill sites and in our oceans come from food packaging. Whilst some items, such as yogurt pots and milk bottles are widely recycled, many items of packaging are not. Plastic trays, the peel bag covers that you find on packets of meat, and plastic bags are often not recyclable. Although some supermarkets are making changes, others have been slow to react to the plastic backlash. Some supermarkets stock very little loose fruit and vegetable produce, preferring instead to only offer customers the option to buy several items within plastic trays or wrapping. This Christmas vote with your feet and check out what is available at your local greengrocers. You will usually find an abundance of loose produce that can be packaged in brown paper bags, or in your own reusable bags if preferred. Take it one step further and see if any local community groups or companies are offering a plastic free grocery service. Popping up across the country are initiatives where customers can take their own reusable containers to be filled with items, such as pasta, rice, dried fruit and cereals. One way of reducing your use of plastic packaging is to bake or cook your own Christmas treats. Items, such as mince pies and party platter style foods, are almost always packaged in plastic trays that are difficult to recycle. 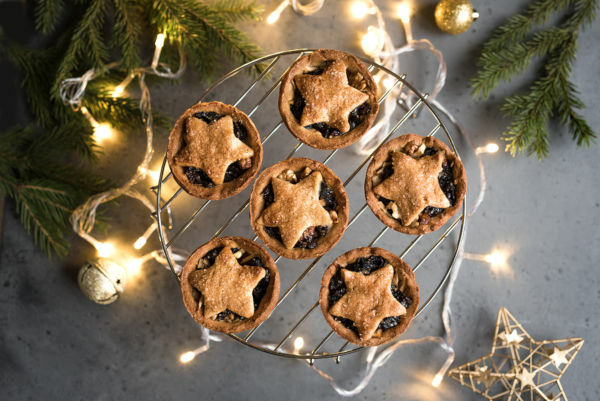 Mince pies are ridiculously easy to make, especially if you buy ready rolled pastry (packaged in cardboard) and ready-made mincemeat from a glass jar. Other party items that are fairly easy to make include potato wedges, skewers and cheese straws. 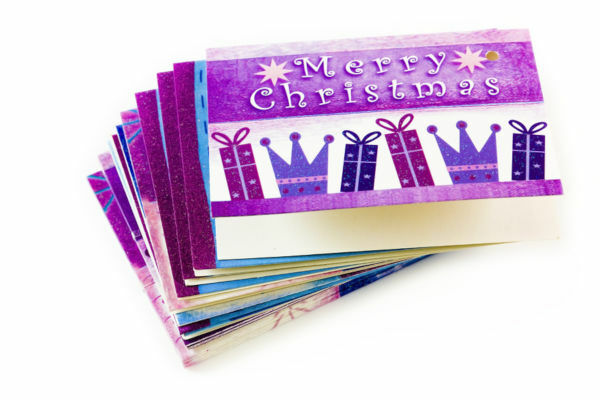 Again, don’t let the name fool you, as not all Christmas cards are made from card that can be easily recycled. Some have plastic coatings and many come in their own plastic films. This year, consider sending an e-card to your loved ones instead. You could even donate the money that you would have spent on cards to a charity of your choice. Alternatively, your children could make some Christmas cards with paints, pens and crayons using recycled cardboard and envelopes. Be honest, when was the last time you received an item from a Christmas cracker that turned out to be either incredibly useful or so charming you decided to cherish it forever? The answer is probably never. Christmas crackers are a uniquely British tradition but they are, sadly, another source of plastic waste, with the contents often including small plastic toys and knick-knacks that entertain the owner for approximately five-minutes before being discarded. 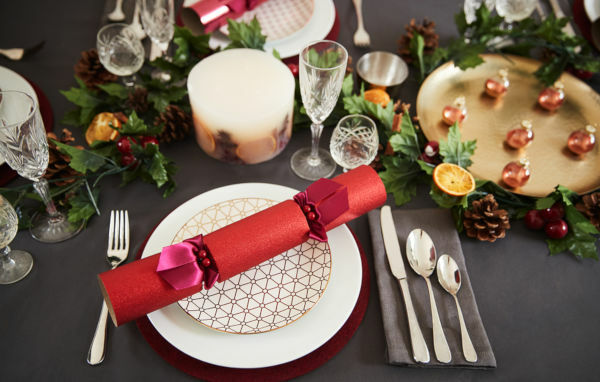 If you want an easy way to reduce your plastic waste this Christmas then opt for an eco version of the humble Christmas cracker. You can either buy eco crackers made from recycled materials and filled with wooden gifts, such as this set available on Amazon or you could make your own using a DIY crafting set that you can fill with your own gifts. Mini jam jars, sweets, and miniature bottles of spirits make great alternatives. Switch to reusable nappies and wipes. Yes, even baby wipes are made from plastics, which is also why you should never flush them. Continue to use your local greengrocer to buy fresh produce and consider writing to your supermarket of choice to encourage them to change their plastic packaging on fruit and vegetables. Ignore pester power and stop buying blind bag toys and chocolate treats that contain plastic toys. Talk to your child regularly about the environment and the problems that these types of toys can cause. Instead of spending a fortune on drinks in plastic bottles when out and about, make sure that each one of your children has their own reusable water bottle that can be taken on trips, etc. When buying clothes for yourself or your child, look at purchasing items that are 100% cotton. Many clothes contain plastic, often identified as polyester, nylon, acrylic and polyamide. When these clothes are put in the wash, they shed tiny fragments, AKA microplastics, which are then washed into the sewers, through waste water treatment plants and into the oceans where they can enter the food chain.